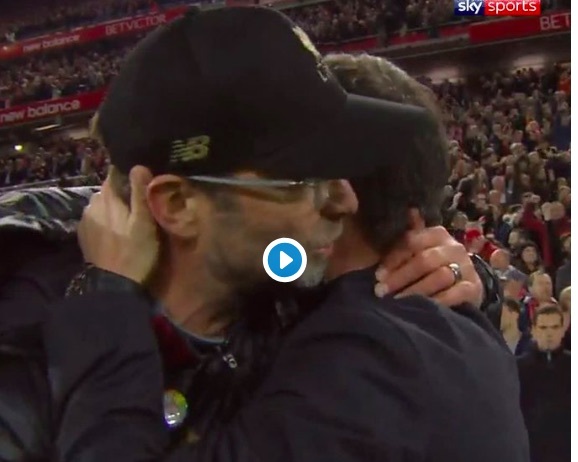 Marco Silva has told a press-conference that he doesn’t agree with the FA’s decision to fine Jurgen Klopp for his on-pitch celebration following the Merseyside Derby. Yesterday, Klopp accepted an £8k fine after he sprinted onto the Anfield turf and embraced Alisson, following Divock Origi’s last minute winner v Everton on Sunday afternoon. But Silva claimed the decision to punish Klopp was unnecessary and wha the did was just react emotionally to a crazy moment.